Would you like a free gift of money to be used for the down payment and closing costs on the purchase of your first home? If so, there is great news for you. Free money for first home owners who need help with the down payment and closing costs is readily available. This money comes in the form of state and federal government grants. Listed below are links to grants available in each state. There are many resources where the prospective buyer can apply to receive the financial grant necessary to qualify for financing her first home. In many states the dollar amounts are in the multiple thousands of dollars. This is free money that shouldn’t be passed up! Simply go to your state’s grant page to get the necessary information. If your state is not listed below, it is because there is no state agency that provides grants to first home buyers. That does not mean that you have no access to assistance money. Besides the state incentives, there are federal funds available through the Homes and Communities program of the United States Department of Housing and Urban Development. On their website you’ll find complete grant information, application forms, description of available funds, as well as many other helpful tools. Every potential 1st time home buyer should investigate what they have to offer. You can visit the website by going here: US Dept. of Housing and Urban Development. Also, there is a website that has a complete list of all grant programs available through the United States Federal Government: Grants.gov. You should plan to spend the required time investigating to determine how many individual grants they may qualify for. You can visit the website by going to Grants.gov. Located within this site is a large amount on information on where to find grant programs in each state. However, it is beyond the scope of this website to teach our visitors how to write the perfect application. While it is important to find sources that are applicable to your situation, it is equally important to write a quality application that will win you assistance money. Listed below is the contact information for the first home buyer programs in each state. However, not every state offers grants. If your state is not listed, it is because there is not currently an active grant program initiated by your state legislature available. You can still turn to the federal government for down payment and closing cost assistance. See the section above for details. Alabama: Alabama does not currently offer first home buyer gifts. They do, however, offer below market interest rates to first time home buyers. Depending on your income, in some cases the interest rate is zero. While this is not technically a grant, it is the same net effect. You are basically given the money you would have paid in interest on your mortgage loan. There are other grant options available to residents of Alabama as well. Please go to this page for more information. 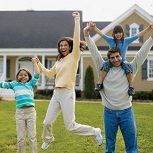 Alaska: Alaska does provide a variety of first home buyer incentives. Go to this page for complete information. 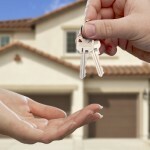 Arizona: The state of Arizona provides several home buyer grant incentives. Go to this page for more information. Arkansas: The state of Arkansas provides one home buyer enticement, the Down payment Assistance Program. To find out more, go to this page. California: California does not currently offer home buyer gifts. They do, however, offer low-interest loans to the buyers who meet certain income limits. There are also local incentives available in various communities. Please go to this page for complete information. Colorado: The state of Colorado doesn’t currently offer gifts, but they do offer low-interest loans to the house owners who meet certain income limits. There are also local incentives available in various communities. Please go to this page for more information. Connecticut: Unfortunately, Connecticut also doesn’t currently offer any such grants, but does offer low-interest loans to first time owners who meet certain income limits. There are also local grant programs available in various communities. Please go to this page for complete information. Delaware: Delaware provides one enticement which will give you a cash gift up to 3% of the mortgage amount which is available to pay closing costs. Visit this page for more info. 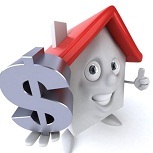 Florida: The state of Florida does provides a few different home buyer incentives. Please visit this page for complete details. Georgia: Georgia provides one first time home owner enticement. For complete details, visit this page. Hawaii: The state of Hawaii, through the Department of Hawaiian Home Lands, hopes to award thousands of native Hawaiians in the next five years. To find our more, please visit this page. Idaho: Unfortunately, Idaho does not currently offer first home owner gifts, but does offer low-interest loans to first home owners who meet certain income limits. There are also local grant programs available in various communities. Please visit here for more information. Illinois: The state of Illinois currently provides one home buyer incentive for low-income first home purchasers. For complete information, please visit here. Indiana: Indiana does not currently provide a home buyer gift, but they do offer a loan that can turn into a gift. You can receive up to $3,500. Please visit here for complete details. Iowa: The state of Iowa provides several home owner incentives. Go to here for more information. Kansas: The state of Kansas offers the First Time Home Buyers Program, but it is currently out of funding. For more info, please go to this page. Kentucky: Kentucky does not currently provide a home buyer gift, but they do offer several loan programs that can turn into a gifts. You can receive up to $10,000 depending upon your income. Please visit Kentucky Grants page for complete details. Louisiana: Unfortunately, Louisiana does not currently offer any home buyer gifts, but does offer low-interest loans to first home owners who meet certain income limits. There are also local grant programs available in various communities. Please visit here for more information. Maine: The state of Maine provides one home owner incentive: Maine Assist. For more information, please visit here for more details. Maryland: Unfortunately, the state of Maryland does not currently offer home buyer gifts, but only provides reduced interest loans. There are, however, local enticements as well as Federal programs. Go to this page for more information. Massachusetts: Unfortunately, Massachusetts does not currently offer home buyer gifts, but only provides reduced interest loans. There are, however, local grant programs as well as Federal programs. Here are more details about the program. Michigan: Unfortunately, the state of Michigan does not currently offer home buyer awards, but only provides reduced interest loans. There are, however, local grant programs as well as Federal programs. Visit Michigan Grants Page for more information. Minnesota: Unfortunately, Minnesota does not currently offer home owner awards, but only provides reduced interest loans. There are, however, dozens of local grant programs as well as Federal programs. Visit here for more information. Mississippi: The state of Mississippi provides one home buyer incentive: Down Payment Assistance Program. You can receive up to 3% of the mortgage amount. Please go to this page for more details. Missouri: Missouri provides one first time home buyer enticement: First Place Loan Program. You can receive up to 3% of the mortgage amount as a grant. For more information, visit this page. Montana: Unfortunately, Montana does not currently offer awards, but only provides reduced interest loans. There are, however, local grant programs as well as Federal programs. Please visit this page for more information. 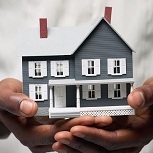 Nebraska: The state of Nebraska provides one home buyer grant program: Single Family Homebuyer Assistance. You can receive up to 4.25% of the mortgage amount as a loan that turns into a grant. For more information, please go to this page. Nevada: Unfortunately, Nevada does not currently offer any award, but only provides reduced interest loans. There are, however, local grant programs as well as Federal programs. Please go here for more information. New Hampshire: The state of New Hampshire provides one cash grant program: Single Family Mortgage Program. You can receive up to 4% of the mortgage amount as a cash grant. For more information, go to this page. New Jersey: New Jersey provides a unique grant program: Individual Development Accounts. You can receive a grant of up to $4 for every dollar you save towards the down payment for your first home. Please visit here for complete information. New Mexico: Unfortunately, the state of New Mexico does not currently offer home buyer gifts, but only provides reduced interest loans. There are, however, local grant programs as well as Federal programs. Please visit here for more information. New York: The state of New York provides one such grant program, but like some other states, it is a loan that turns into a grant after a period of time. You can receive up to 5% of the mortgage amount. For more information, please go to this link. North Carolina: The state of North Carolina provides one program that is very close to a grant: The American Dream Down payment Initiative. You can get up to $7,000 for use toward the down payment and closing costs. To find out more, please go to here. North Dakota: The state of North Dakota provides one such cash grant program: Start Program. You can receive up to 3% of the mortgage amount as a cash grant. For more information, please click here. Ohio: The state of Ohio provides one cash grant program. You can receive a gift of 2% of the home’s purchase price. For more information, please visit this page. Oklahoma: The state of Oklahoma provides one cash gift program for the home buyers who do not have funds for the down payment and closing costs: 1st Gold. To find out more, please go to this page. Oregon: The state of Oregon provides one program that is very close to a grant: Purchase Assistance Loan. You can get up to $10,000 for use toward the down payment and closing costs. To find out more, please check out this link. Pennsylvania: The state of Pennsylvania provides one program that is very close to a gift: HOMEstead. You can get up to $15,000 for use toward the down payment and closing costs. Please visit Pennsylvania Grants’ page for more details. Rhode Island: Unfortunately, the state of Rhode Island does not currently offer first time home owner awards, but only provides reduced interest loans. There are, however, local grant programs as well as Federal programs. Please visit here for more information. South Carolina: The state of South Carolina provides one first time home buyer incentive, but like some other states, it is a loan that turns into a grant after a period of time. You can receive up to $4,000 that is forgiven if you remain in your home for 5 years. For more information, Check out this page. South Dakota: The state of South Dakota provides one program that is very close to a gift: The American Dream Down payment Initiative. You can get a zero-interest loan for use toward the down payment and closing costs. What you would have paid in interest in effect becomes a grant. Go to this page to find out more. Tennessee: The state of Tennessee provides one first time home owner incentive: American Dream Down payment Initiative grant. You can receive up to $5,000 that is forgiven if you remain in your home for 5 years. Funding for the current year has been exhausted, but a new fiscal year begins July 1, 2006. Fore more information, please go to this page. Texas: The state of Texas provides one first time home owner incentive: Program 61 – Non-targeted. However, it is currently out of funding. When the program gets renewed funding, first time home buyers can get a cash grant of 4% to be used for down payment and closing costs. For more information, Visit this link. Utah: Unfortunately, Utah does not currently offer awards, but only provides reduced interest loans. However, there are other grant options available to residents of Utah. Please go to this page for more information. Vermont: The state of Vermont provides one grant incentive, but like some other states, it is a loan that turns into a grant after a period of time. You can receive up to 3% of your loan amount that is forgiven if you remain in your home for 4 years. For more information, go to this page. Virginia: Unfortunately, the state of Virginia does not currently offer first owner awards, but only provides reduced interest loans. However, there are other grant options available to residents of Virginia. Click here for more information. Washington: Unfortunately, Washington does not currently offer first time home owner gifts, but only provides reduced interest loans. However, there are other grant options available to residents of Washington. Please go to this page for more information. West Virginia: Unfortunately, West Virginia does not currently offer gifts, but only provides reduced interest loans. However, there are other grant options available to residents of Virginia. Please go to this link for more information. Wisconsin: The state of Wisconsin does not currently offer grants, but only provides reduced interest loans. However, there are other assistance options available to residents of Washington. Check out this page for more details. Wyoming: Wyoming provides one home buyer grant incentive, but like some other states, it is a loan that turns into a grant after a period of time. You can receive up to $2,000 that is forgiven if you remain in your home for 30 years. For more information, please go to this link.